The EEF provides a highly cost-effective opportunity to promote the institution on the Bulgarian market. The well-planned pre-event promotional campaign secures the attendance of well-informed, academically qualified applicants. Participating in the EEF is an opportunity to establish a long term commitment and collaboration with EDLANTA - one of the most reputable education agencies in Bulgaria, for the recruitment and counseling of Bulgarian students. 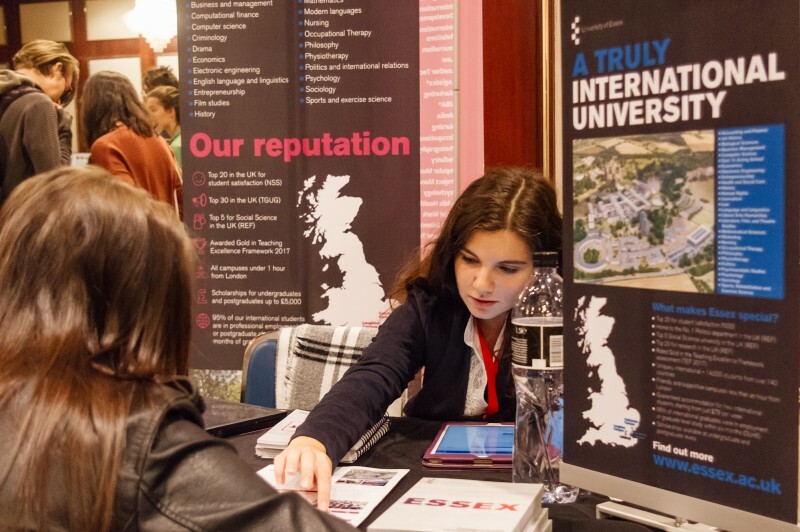 By answering specific queries from highly-motivated potential applicants, the education institutions' representatives can get a clear idea of the Bulgarian market and fine-tune their future marketing activities. Educators who have participated repeatedly in the EEF report a substantial increase in the number of applications from Bulgaria. The Fair provides an opportunity to develop a network of alumni who are ready to share their positive experience with potential applicants and thus promote their university in the most credible way.